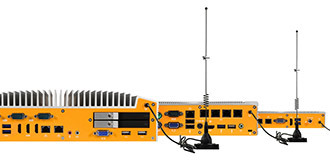 Karbon 300 is a compact rugged PC with integrated CAN bus, PoE+ LAN, and customizable DIO with options for cellular wireless connectivity and Movidius VPU. Configurable with either the Dual-Core E3930 or Quad-Core E3950 processor and up to 8 GB of LPDDR4 memory, Karbon 300 brings efficient Intel Apollo Lake processing to the edge and is configurable with the Movidius Myriad 2 VPU for vision processing applications. To meet the demands of extreme computing environments, Karbon 300 is tested according to IEC 60068-2-27 & IEC 60068-2-64/ MIL-STD-810 procedures for shock and vibration. Shock and vibration performance also meet the in-vehicle UNECE Reg.10 E-mark and rolling stock EN50155 standards.  The ruggedized chassis keeps your hardware protected while onboard TPM, Intel PTT, and secure elements for AWS safeguard your data. A wide power input of 9~36 VDC, operating temperature range of -25°C ~ 70°C, and flexible mounting options let Karbon 300 thrive in any environment. 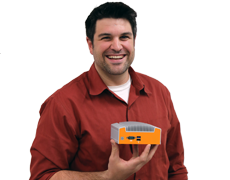 Karbon 300 was built for edge computing with integrated CAN bus, automotive power sensing, and customizable DIO. Tailor-make the system to your specific application with Wi-Fi/Bluetooth, 4G or CAT M1 wireless technologies, Movidius Myriad VPU, and CEC. 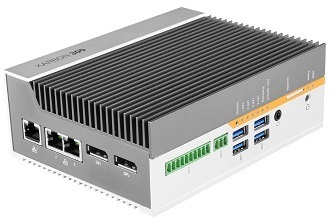 Three Gb LAN ports with optional PoE+, two COM ports and four USB 3.0 make Karbon 300 a feature-packed rugged computer ready for any application. 2.20" x 6.06" x 4.69"